If you’re a music fan, most likely you have an artist (or several) that speaks to you through their songs. 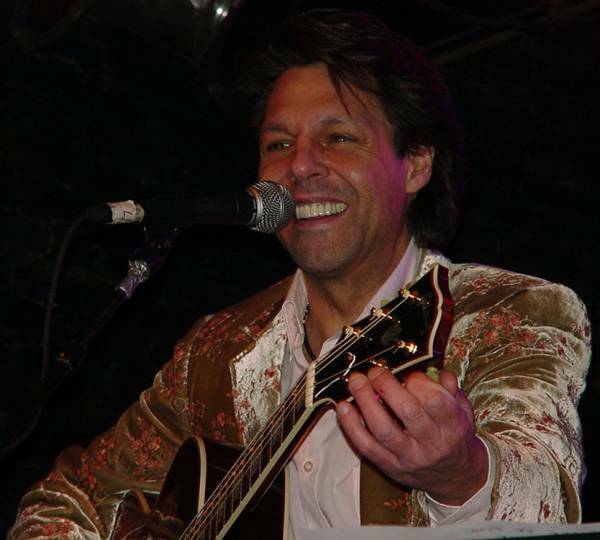 For me, one of those special artists is singer/songwriter Kasim Sulton. Recently, Kasim kicked off a pledge music drive surrounding his first official live CD, “Live Bootleg.” Like all of his previous efforts, I’m having a hard time taking this disc out of the player – not that it’s a bad thing! Get out your Meat Loaf “Bat Out of Hell” album and check the credits. There he is. Not only is he on that album, but Kasim is the only musician to appear on all three “Bat” albums. Plus, he was Meatloaf’s musical director for 15 years. There are several Utopia fans that can say they saw Kasim back in the 1970’s and have been following his career ever since. That’s pretty much where he made a name for himself in the music industry, writing and singing alongside Roger Powell, Willie Wilcox, and Todd Rundgren. 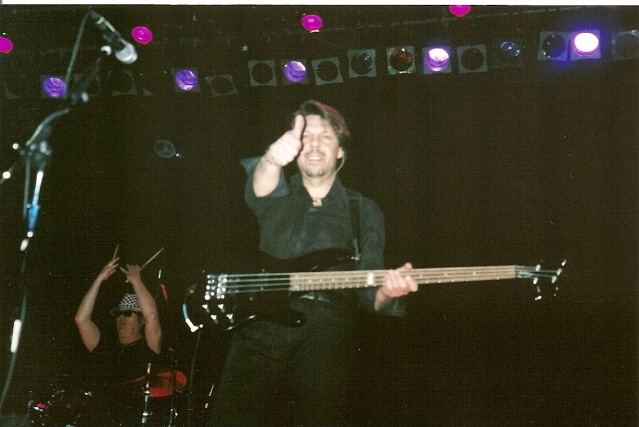 He is credited with writing and singing Utopia’s only top 30 hit, “Set Me Free.” Kasim has continued to play on Todd’s albums and tours ever since Utopia split up in 1986. I first discovered Kasim through Utopia, like so many other fans, but was kind of a late bloomer to all of their music. Eventually I decided to seek out Kasim’s solo material, and really enjoyed everything I heard. His solo material includes a self-titled debut album, Kasim in (1982), followed by a collaborative album with fellow Blackheart Thommy Price titled, Lights On (1986). This was followed by The Basement Tapes (1993), Quid Pro Quo (2002), All Sides (2007) and the DVD, Kasim Sulton – Live in Atlanta (2008). 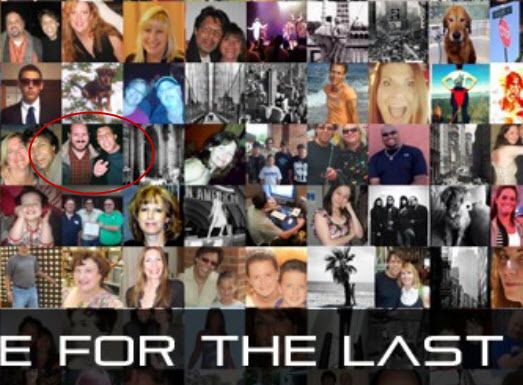 His last studio album was 3 (2014), which featured fan photos (including one of me with Kasim!) as part of the cover art. On Saturday, January 27, I made the nearly three-hour drive to the Abbey with my good friend Steve. We brought along plenty of Kasim and Utopia CD’s for the car ride, and had a great time just talking music and anticipating the show and what the venue might be like, as neither of us had ever been there. We arrived well before show time, which gave us plenty of time to grab a bite to eat and relax. When the doors opened, we were able to choose a pretty decent vantage point, as the Abbey gave a bit of priority to those who had eaten prior to the show. We wound up sitting about a third of the way back on the floor, and that was perfect for taking photos and the sound was great too. Kasim spent the night rotating between playing keyboards and guitar. He had guitarist Doug Kennedy along, and Doug added to the sound immensely. Doug left the stage for a few songs that were arranged for Kasim alone. By the time the night was over, 17 songs were played – everything from the Cars to Todd Rundgren, Utopia, and Kasim’s own solo songs were in the setlist. We found out that Kasim was warm with the audience. He had a great sense of humor throughout the night. But that was just the tip of the iceberg. After the show was over, we weren’t sure what to do or where to go, but we knew we wanted a shot to have Kasim sign some of our stuff. We went toward the back of the floor and thought he might come out of a side door back that way – and we were right! Kasim saw us milling around and told us he’d be glad to come back and chat, but had to get back up on stage and take down some of the equipment. He told us not to go anywhere, so we stayed put! True to his word, Kasim came back when he was finished and started off the informal meet and greet with us. He even mentioned wanting to make sure he got back to us. We chatted with him for a few minutes, got some great photos, plus a few items signed. As a group of fans had formed with the same idea in mind, we thanked him and tried not to take up too much time. We were blown away by those few minutes and talked about the night on the way home, while listening to Quid Pro Quo and more Utopia. 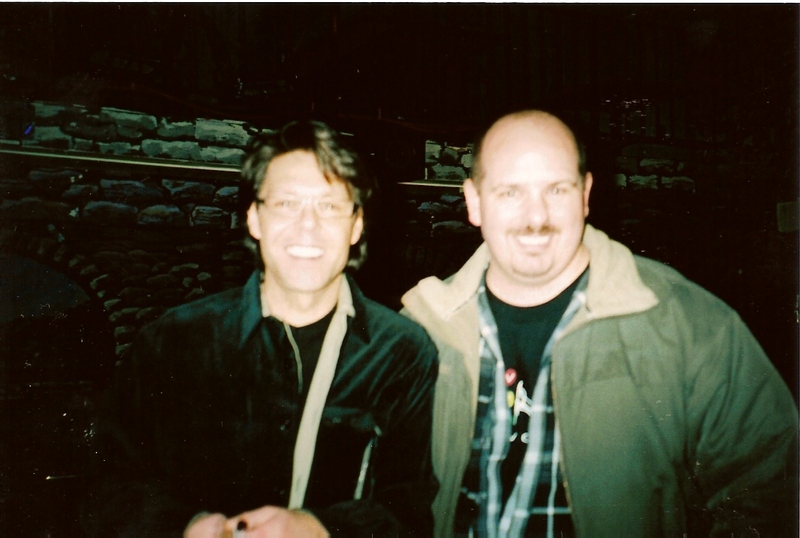 Both of us had done meet and greets with music artists, both formal and informal – but this simple meeting with Kasim was quite different, just because he was very down-to-earth and actually remembered we were waiting for him to return to the main floor. Anytime I drive from Wisconsin to Chicago it’s impossible to anticipate travel times. This past Friday was no exception as the heavy traffic probably added an additional half hour to the trip. We was lucky enough to arrive at the familiar Abbey Pub venue around 6:20 with time to spare before the doors opened. Had I known the doors wouldn’t open until 7:00, it may have been in our best interests to order food to get a prized “green ticket” for early entry. The green ticket crowd claimed all the floor seating, so rather than stand at the back of the floor, we opted for balcony seating. Kasim was in fine voice from the start and put to rest any concerns of voice burnout from earlier in the tour. Overall the mix was very even, save for heavy bass in a few spots. I suspect this was due to my seating location in the balcony and probably sounded much better downstairs. The Abbey stage is about the perfect size for a four piece band like Kasim has assembled. I was able to see all of the players without a problem and the lighting was tasteful as it always is at the Abbey. Speaking of the players, this is an excellent assembly of musicians. Each was very professional and was well-rehearsed. I’m sure this is a testament to Kasim’s work as musical director for Meatloaf. These guys all played like they had been together for years – all with plenty of smiles and good cheer. Kasim appeared to be very comfortable as lead singer, guitarist, and bandleader. Kasim mentioned in the early part of the show that he had been talking too much during these gigs and would try to not talk as much. I think his banter is always great fun and works quite well in an acoustic setting. It can tend to slow the momentum down of a full band show. The only thing I could think of to curtail this would be to have the band learn one more song, even if it’s an instrumental to save Kasim’s voice. Or perhaps Kas could play one more song on the acoustic guitar. Just a thought. Highlights of the show were seeing Quid Pro Quo songs come to life with a full band and Mimi Gets Mad. I was beginning to think I’d never see that song performed live! The fellow sitting near me in the balcony called out for One World at the end of the show. I was actually happier to see the band stretch out and play Do You Love Me instead. After the show I made my way downstairs and waited for the customary autograph. I knew from past experience that Kasim typically appears from the back of the room – I just didn’t know from which door. I saw him appear and waved, got his attention and he came right over and signed All Sides. We only chatted for a couple seconds as by that time quite a group had assembled. I did hear one person ask if Kasim would play Valparaiso with the band (I also think he asked if Kasim would do the pre-gig dinner again, although I may have imagined this!) and Kasim said he’d keep it in mind. Kasim stopped signing and asked if he could buy my marker – he had been using it to sign because no one else seemed to have one. I told him to keep it, that it was more than worth it after such a great time! He went back to signing and we headed out into the chilly Chicago night looking forward to the next gig. Thanks Kas for another great show! My grainy photos from the balcony can be found here. I missed Kasim’s Café Carpe show in 2002 and have always hoped he would return. This past Sunday my wish came true and it was an early gig to boot! This is a really intimate venue that looks more like a house than a cafe from the street. The food was excellent and each staff member was friendly and helpful. I always enjoy the Abbey Pub shows, but have experienced poor service there. Sometimes a smaller venue gets almost everything just right, and this one has been in business over 25 years, so they certainly know what they’re doing. My only knock is to echo Sue’s review of the red lighting. It was nearly impossible to get a decent photo. There wasn’t an opening act for this show, unless you count Bill, the Café Carpe’s owner. He spoke for a few minutes leading up to introducing Kasim. Bill did suggest that the audience should come back at least once a year for another show, because it would keep the venue in business! I’m not going to review specific songs as Sue has that covered here on Kasiminfo. I will say that Kasim’s vocals were great throughout the evening. I’m not quite sure if that had to do with the venue, or with Kasim quitting smoking. His high notes really soared, and the softer parts sounded great too. It was nice to see Kasim close-up for a change at a solo show. I’ve been up front for Todd shows and the New Cars, but never in a smaller setting like this for one of his solo performances. There wasn’t a bad seat in the house. I do wish more fans would’ve come out for this show to encourage Kasim to return again on a future tour. Hats off to those who came from Chicago and other distant areas! I do encourage everyone to see this tour. Kasim is changing his set list, which is refreshing. I’ve seen one too many artists in concert that rest on their laurels/greatest hits and don’t take any chances. It’s always nice to hear Kasim play something rare, or just one of his favorite songs by another artist. And always cordial, he was very chatty after the show and was happy to sign autographs and take photos with fans. Thanks Kasim for another great concert experience and I’m looking forward to the new album! My photos of the Café Carpe show can be found here. My review of Kasim in Todd Rundgren’s performance of his album, “A Wizard, A True Star” can be found here.